What is the Difference Between ENVY & JEALOUSY? Envy occurs when we lack a desired attribute or possession enjoyed by another. And so envy is a two-person situation whereas jealousy is a three-person situation. Envy is a reaction to lacking something. 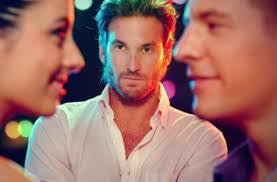 Jealousy is a reaction to the threat of losing something (usually someone). Parrott, W.G. (1991). The emotional experiences of envy and jealousy (link is external), The psychology of jealousy and envy. Ed. P. Salovey. New York: Guilford. Smith, R.H. (Ed.) (2008). Envy: Theory and research (link is external). New York, NY: Oxford University Press. Why do we try to live other people’s lives? Why don’t we live our own lives? Jealousy—the state or feeling of being jealous. Jealous resentment against a rival, a person enjoying success or advantage, etc., or against another’s success or advantage itself. 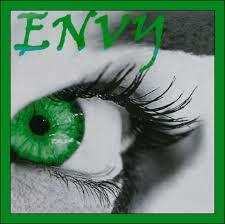 Envy—a feeling of discontented or resentful longing aroused by someone else’s possessions, qualities, or luck. Judgment—the ability to make considered decisions or come to sensible conclusions. Why don’t we have time to really look at one another? Think about it! Where are you looking and gazing most of the time? What has your attention? When was the last time you really looked into someone’s eyes, held their face in your hands, had an engaging conversation, and really looked at nature? Have we become blind to what or who really matters? Emily: Oh, Mama, look at me one minute as though you really saw me. Mama, fourteen years have gone by. I’m dead. You’re a grandmother, Mama! Wally’s dead, too. His appendix burst on a camping trip to North Conway. 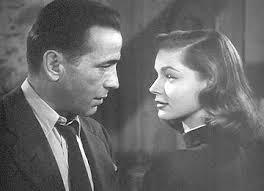 We felt just terrible about it – don’t you remember? But, just for a moment now we’re all together. Mama, just for a moment we’re happy. Let’s really look at one another!...I can’t. I can’t go on.It goes so fast. We don’t have time to look at one another. I didn’t realize. So all that was going on and we never noticed. Take me back — up the hill — to my grave. But first: Wait! One more look. Good-bye , Good-bye world. Good-bye, Grover’s Corners….Mama and Papa. Good-bye to clocks ticking….and Mama’s sunflowers. And food and coffee. And new ironed dresses and hot baths….and sleeping and waking up. Oh, earth,you are too wonderful for anybody to realize you. Do any human beings ever realize life while they live it–every,every minute?